The installation of a Ford F250 Truck Ventshade wind and rain deflector will give your vehicle a custom look and also increase interior comfort from the benefits gained with the addition of this quality product. 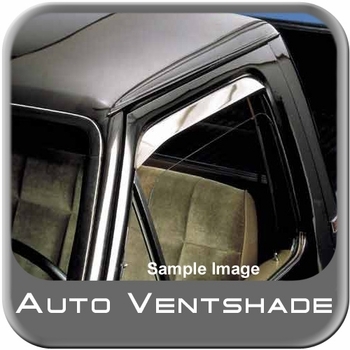 These Ventshade brand steel Ford F250 Truck wind and rain deflectors are custom designed to fit your F250 Truck so that installation will be a breeze and you will get excellent interior protection from the outside weather. You will enjoy the ease of installation with the purchase of a Ford F250 Truck Ventshade rain and wind deflector that is a do it yourself procedure designed for your vehicle. The Ford F250 Truck Ventshade rain and wind deflector gives you protection every day from the outside elements by still allowing you to control the air flow with the use of your windows.